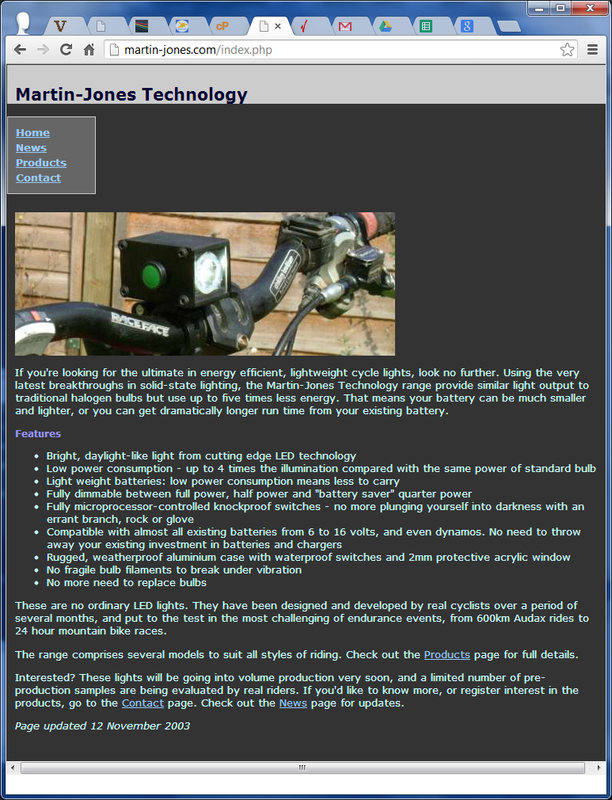 I’ve just been fiddling around getting martin-jones.com to point to this blog. In the misty no-mans land between HTTP redirects and DNS propagation, this page reappeared from November 2003. It had been hidden under newer things, like a Roman mosaic. Since then, the business it refers to has become Solidlights and subsequently had its day. This entry was posted in Uncategorized on January 15, 2013 by martinjonestechnology.